In this episode of Confetti Park Storytime, we hear Louis Lion – When It Gets Dark, I May Start Cryin’. This book is narrated by the author, Cindy Foust, creator of the Alpha-kidZ book series. Each letter of the alphabet gets a feature story and a feature creature who has an adventure and learns a lesson. 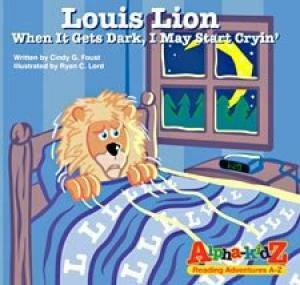 Louis Lion – When It Gets Dark, I May Start Cryin’ is the “L” book in the series, of course! And little Louis has a problem that many children share…. fear of the dark and being alone in bed at night. “Bedtime for Louis became a battle. He would cry with all his might. But what happens as Louis grows bigger? The “big bed” becomes too small! One night, it was too much for Louis to take. Dad pulled the covers off Louis…. then his mom’s arm accidentally bonks his nose…. And mom and dad both snored too loudly for Louis to get his needed rest. Guess where Louis found sweet dreams at last? In his very own bed, despite the dark! 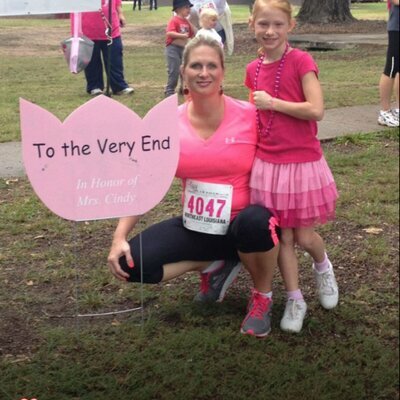 Cindy Foust lives in West Monroe, Louisiana. She launched the Alpha-kidZ: Reading Adventures A-Z book series in 2003. Patti Pig, Austin Alligator, Elephant Emmy Lou, and Freddy Fox… these are some of the characters who face a challenge and find a solution. All of Cindy’s books offer lessons in character development and conflict resolution, told in engaging rhyme. And the books are brightly and colorfully illustrated (by different artists). Cindy says that personal experiences and inspiration from family and friends provided the basis for each of the stories. Look for all the books at http://www.alphakidz.com, and look for an interview with author Cindy Faust in a future episode of Confetti Park! Listen to Cindy read Patti Pig, Please Clean Your Digs.